Colleagues, welcome to my June blog, which should provide you with an update on what the National Executive is involved with on your behalf. Last month we reflected on the Manchester attack, this month we have paid our respects to those caught up in the horrendous events of this time last year. We all looked on with shock at the terror attacks at London Bridge and Finsbury Park, the devastating fire at Grenfell Tower. Our colleagues were engaged in each of these event, as first responders and assisting our colleagues in the Metropolitan Police. Our thoughts have been with the families and friends of those who lost their lives as well as all those who sustained injuries. We have also kept in mind our colleagues and all the other emergency services who attended; you again exhibited how professional and determined you all are to deliver an excellent service. This month I attended a Joint Program Board meeting and a Joint Program Board partners meeting and will summarise the topics being covered. First and foremost, we have at length raised concern regarding our pensions and the suggested proposal of creating a segregated pot for BTP Scotland officers. Our concerns are also supported by NARBTPO. I can confirm - after lengthy debate - the Trustees of your pension scheme have not agreed, decided on or are participating in creating a pension proposal. Yes, we saw a proposal back in March of this year, but as reported then it contained little detail and having spoken to the Trustees they inform us that they have not accepted the proposal and have written back to the Scottish Government. After further discussions you will be aware that the Scottish Government was aware of the £94 million liabilities and that there was £99 million worth of assets that would cover this. You may remember I was asked about these figures at the last Justice Committee session; we knew nothing of these figures or where they had originated from. The Trustees have since confirmed that they know nothing of these figures. They do not know who has provided the valuation of the assets and they have not been involved in any valuations or provided information to obtain such. These figures do not take into consideration the long-term liabilities, valued between £45- £100 million; a liability that currently sits with the Scottish Police Authority unless the Scottish Government provide an undertaking or a crown guarantee. What the Trustees did confirm is that when and if they receive a viable proposal from the Scottish Government then they will seek actuarial and legal advice before responding or indeed accepting any proposal, nonetheless currently there is no viable proposal on the table. In company with the NARBTPO and Supt Association we are of the view that a segregated pot with only 230 officers and a transfer of retired officers with assets is a detriment to our pension scheme and we will continue to challenge any such proposal. We are told that the Scottish Government has received Actuarial advice and legal advice on our pensions and at the last Joint Program Board Partners meeting there was an agreement that this advice should be shared with all partners. We now wait to receive a copy. T&Cs continues to be a topic of contention. We are reassured by DFT that BTP Scotland officers will transfer on an "As Is" basis. What you have today is what you will have when you transfer into Police Scotland. This obviously brings with it equality issues but there remain more questions than answers. Although the DFT can state there will be no redundancies because your contract of employment will remain the same through the transfer, what they are failing to advise on is, once you have transferred in to Police Scotland, if there are any fundamental changes to your contract of employment you may be entitled to the redundancy benefit, a benefit Police Scotland or the SPA will have responsibility for. We know from various forums that Police Scotland is currently running with a deficit of around £47 million and to reduce this there may be a reduction in police officers (I believe the last figure quoted was 400 officers). With the potential of pension liabilities and redundancy liabilities how many more officers will be cut to cover these costs? How many of these cuts will affect the 'railway division'? As a result of many meetings and letters of complaint the first newsletter from the Joint Program Board has been circulated in line with the commitment to improve engagement. This was closely followed by the first staff event which took place on Tuesday 19 June in Edinburgh. Despite being arranged at quite short notice around 20 officers were able to attend. Engagement events will take place after the monthly Joint Programme Board (JPB) meetings so the next will be on 24 July in Glasgow; more details on this and subsequent events will follow. We have provided a circular covering some of the main topics discussed during the two-hour session. This is a summary rather than a verbatim report of the meeting and it's certainly not intended as a response to the 73 questions we submitted on your behalf back in March. From the JPB meeting we learned that many of those questions have been answered (some require more work) and they're being compiled into themed factsheets, which will be circulated within the next week or so. The speakers at the engagement event were Dan Moore (Department for Transport and co-chair of the JPB), Donna Bell (Scottish Government and co-chair of the JPB) and ACC Mark Williams (Police Scotland, responsible for the operational elements of the integration programme). Donna Bell opened the meeting by referring to the JPB's wish to start afresh with engagement and Dan Moore offered an apology to officers: "We do owe you an apology in that we haven't communicated as effectively as we should have and we're very aware of the direct impact this has on you. We weren't as frank, clear and open as we should have been". As we all expected, there is huge frustration around the lack of information and updates being received and the clear message from officers at this first event was that people need to be put at the heart of this process. We have suggested that the JPB must make good on previous promises: Firstly, they need to get the answers/factsheets in respect of the 73 questions out as soon as possible; the JPB must publish the minutes of JPB meetings in timely fashion; stick to the suggested routine for newsletters, and; make the communications more 'human' so you know who is responsible for each work stream and who the decision makers are. Despite a rocky start and a long-awaited event, we feel the JPB are finally moving in the right direction in their responsibility to engage with you. We hope you will take every opportunity to attend future events and ask the questions you are be seeking answers to. On the 11 June we went to Manchester for the National Negotiating Meeting (NNM) in company with DCC Hanstock and Kerry McCafferty. It was pleasing to hear that the force has agreed to settle outstanding overnight allowance payments for all those that have submitted claims. It's also reassuring to see that we are close to finalising the overnight allowance policy. This is a policy that we have persisted with and finally we are seeing light at the end of a very long tunnel. The proposed Limited Duties policy is also very close to being finalised. We are still not agreeing to the 'X Factor' part and the policy is returning to COG for further consultation. I do believe that the force now understands why we cannot accept this part of the policy and I believe we are moving in the right direction to signing off this particular policy. As reported last month we should soon see the introduction of the new Misuse of Substance policy. This allows for random drugs and alcohol testing. We are still not quite there because of the consensual side of the policy - just a reminder that samples requested are with consent and you must be informed of such at the time of the test. If there are reasons for you not being able to provide a sample, then you must report it to your line manager at the time of the test and obviously BTP will provide support. Nonetheless, we are in a disciplined service and there is an expectation in line with the code of ethics that we conduct ourselves in a professional manner following lawful orders and policies. As I have stated previously none of us wants to work with anyone who maybe under the influence of alcohol or illegal substances and simply saying "I'm not taking the test because I can refuse, and you can't force me" is not reason enough and is going to attract attention from PSD. Again a few teething problems but hopefully these can be resolved very quickly. 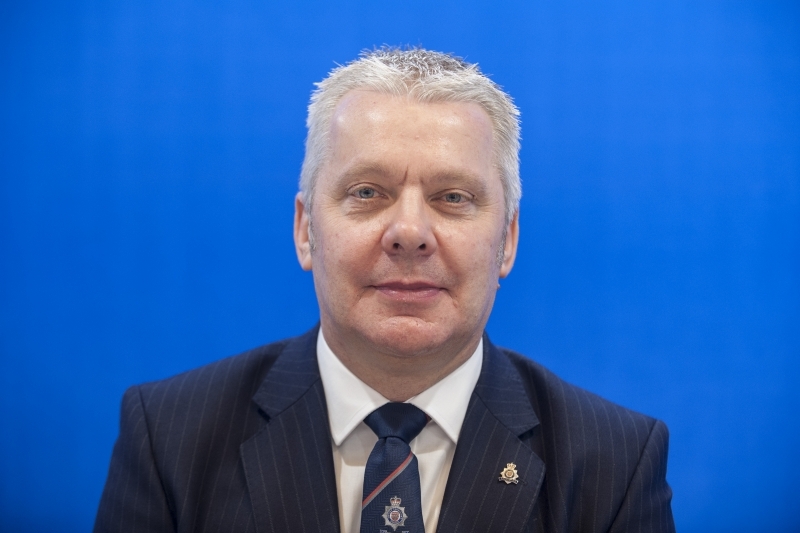 Regarding the Job-Related Fitness Test and separating it from the Police officer Safety Training, Steve Lewis, Deputy Chair of the Federation, has submitted a paper to the DCC for consideration. It has passed the first hurdle in as much that the DCC accepts the opinions and reasons for proposing such a decision and he is personally willing to sponsor the proposal at the next Force Executive Board meeting. We now look forward to receiving that feedback and hope to see a common-sense approach. We attended the Police Federation of England and Wales conference in Birmingham where we took part in interesting debates regarding pay, conduct and performance, CID and the retention of investigators. We heard the first speech from the current PFEW Chair, Callum McLeod, and the speech from the new Home Secretary Sajid Javid. Personally, I thought it was a breath of fresh air to hear a positive speech from a Home Secretary who appears not to be looking for confrontation, but who claims he wants to support the police and understands the concerns and threats to today's service. Clearly its early days but from what I have seen so far, it's a positive start. We also attended the Employee Support Association Conference in Manchester where all matters relating to Equality, Diversity and Inclusion were discussed. There were some exceptional guest speakers and I hope we all learnt something new but realised how important it is to work together and respect each other. I would like to thank the organiser, Barry Boffy, for inviting the Federation; I hope we brought some value to the conference. Just this week I went to the full open meeting of the BTPA, where I met the new ACC Sean O'Callaghan who has joined us from Essex police. I joined BTPA in welcoming him to the force and look forward to meeting and working with him regarding all things CT-related. The agenda and papers for this meeting are available on the BTPA website but of interest were the updates by the CC regarding 2021, the budget for 2018/19 and the £4 million efficiencies required. Other updates were provided on trespass and disruption and the rising costs of both, integration, digitalising BTP and how effective this will make the force, and other updates from the authority. Just a quick reminder, our General Secretary Darren Townsend has been to a few of the staff survey engagement events (read his blog here). These events are aimed at giving you all an opportunity to build on some of the highlighted concerns that you raised through the survey. So, if you haven't been to an event please check out the next opportunity in your division and go along and have your say. It is important we continue to share your views and opinions and help shape the future of BTP. Finally, we attended the "Make the Difference Awards" in London and yet again it was so humbling to witness some of the excellent work of our colleagues. It always impresses me how so many officers and staff across the entire spectrum just keep going that extra mile to get the job done and make that difference. I would like to echo the Chiefs Constable's words regarding all those who were nominated. You are all winners and you are all inspirational characters who are appreciated by your peers and colleagues. So, a very big well done to you all from the Federation and congratulations to this year's winners. Quote of the month: "There will be obstacles. There will be doubters. There will be mistakes. But with hard work, there are no limits."